By listening to the Bible, you may think you’ve joined the new phenomenon of audio book, podcasts, etc. However, you’re actually participating in an ancient tradition of listening to God’s Word read aloud. 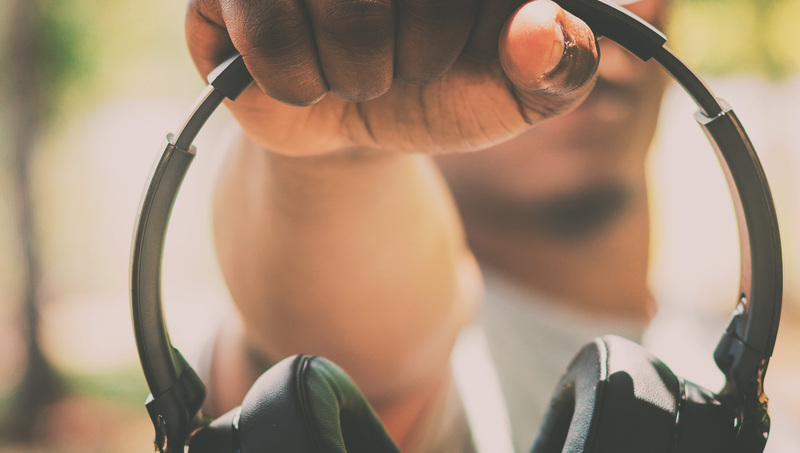 Here are four ways that audio Bibles can change the way you engage Scripture and the world around you. Ancient Near-Eastern societies were hearing dominant. They didn’t have much that compares to books and authors like we do today. Instead, all information was shared orally. Traditions and stories were passed on, generation by generation, through word of mouth. This may seem incredibly impressive—but, think about how many songs you know the words to, without ever seeing them written down. If you hear something enough times, you’re sure to remember it. In our days of writing and reading, authority is often found in books and authors. But, in hearing-dominant societies, authority remains in tradition and community. We can see this play out even after Jesus leaves. The Gospels weren’t written immediately after the ascension. Instead, for years the disciples shared the good news by word-of-mouth. The stories of Jesus’ life belonged to the Christian community and were preserved by their constant re-hashing of events. There are many important reasons for us to have Scripture written down. But, when you listen to the Bible read aloud, you are participating in an ancient tradition. It’s neat to step back, close your eyes, and hear God’s Word spoken over you like Christians and Jews experiences for centuries. We all know at least one speed-reader who can bust through the Lord of the Rings trilogy in a month. They make reading look easy. But, for most people, reading is more of a challenge. First of all, it can be difficult to keep a focused mind. Ever find yourself re-reading that verse for a third time? We’ve all been there. But secondly, the Bible is definitely one of the more difficult books to stay completely focused while reading. This isn’t something we should be ashamed of, but recognize that there are a lot of unfamiliar concepts in there! Not only are you trying to understand what God is trying to teach you (a big enough goal!) but you’re also trying to pronounce Melchizideck correctly, understand the importance of Levirate law, and remember the context of the passage. But audio Bibles can relieve some of that overload. By listening, you can give your mind a break. You can more easily take in information and process it… and then remember it. Most people learn better, retaining more information, by listening. If this is you, then audio Bibles can be a game-changer. You also may discover that you can find new takeaways by listening. This is similar to the differences you may find in reading an email and having a person talk to you over the phone. Inflections can bring text to life, providing more emotion and context. While reading Paul’s sometimes long-winded letters, you may get lost and lose sight of the point of the sentence. But by listening, you may actually be able to engage different with the text than ever before. Often, the sweetest moments of being a child of God are found in intentional silence, quietly reading or writing. It is definitely important to find this quiet alone time, where we can humbly meet with God. However, if you have kids, a job, or the need to go buy groceries once in awhile, then you know this quiet alone time can be hard to attain. But audio Bibles can help fill in the gaps. Say you only have 40 minutes left before you need to get the kids ready for bed. You haven’t exercised or read the Bible today. Instead of feeling torn between two healthy activities, combine them. Listen to an audio Bible while you run, taking care of both your soul and your body. I’m sure you can think of many other opportunities to listen to God’s Word. Lastly, I wouldn’t recommend that you replace intentional quiet time with this multi-tasking-Bible-listening. Like I said before, audio Bibles can help fill in the gaps. They can help you engage more. Find ways to use them throughout the day to get an extra dose of God’s Word that you couldn’t have before. 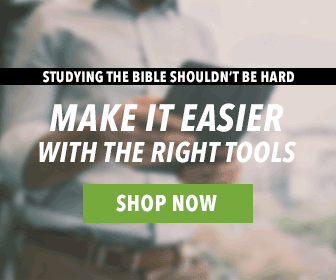 Ready to start listening to God’s Word? 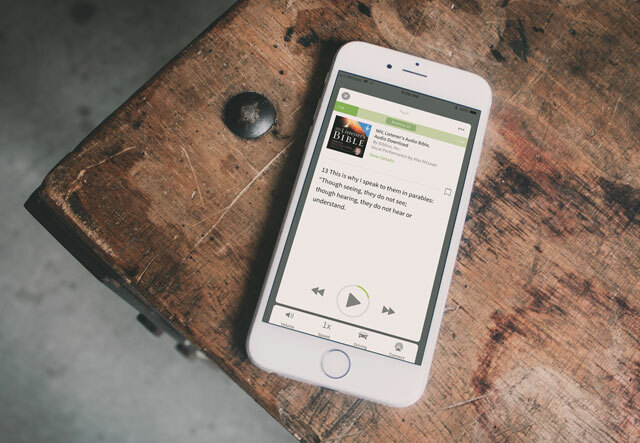 Visit our website to see all the new audio Bibles we’ve made available. Wonderful article. As a Missions Manager in an Audio Bible recording organization, http://www.theovisionkenya.org, I often do trainings for leaders in our Bible Listening Groups Programme. This article is highly resourceful for me. Bravo Olive Tree! Keep it up and help people with God’s word! This upgrade to audio Bibles is touching for me as you are working to spread the truth, which is the bible. Been listening to the Audio Bibles for months now. It has been a great blessing.